2. Tap More > Settings > Select the required email account > Sync schedule > Sync data while roaming. 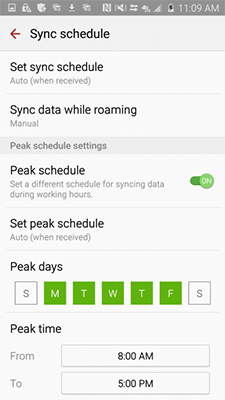 The Sync data while roaming is set to Manual by default. 3. 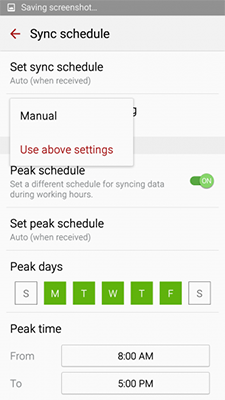 Tap Sync data while roaming and set it to Use above settings. After this change in the email settings, you should be able to sync the emails automatically while in roaming. Note: The user interface illustrated in this FAQ can be slightly different due to version upgrades.